Every now and again, it’s nice to have some pride in Detroit. And nothing gives me more pride than a national magazine giving some much-needed attention to the city. And that is especially true when it’s good news for the residents and our businesses in terms of bringing far-flung tourists to our beloved municipality. 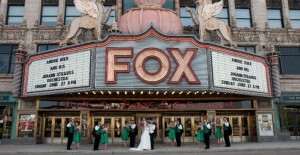 As background, the Fox has about 5,000 seats within its magnificent walls. It is the largest surviving movie palace of the 1920s (opening in 1928, according to local historians) and the largest of the original Fox Theatres. And check this out – I learned through this blog post that the Fox was put on the National Register of Historic Places in 1985 and named a National Historic Landmark in 1989. Because these marquees are becomes scarce, they are visually relevant as well as beautiful to look at, the Atlantic notes. 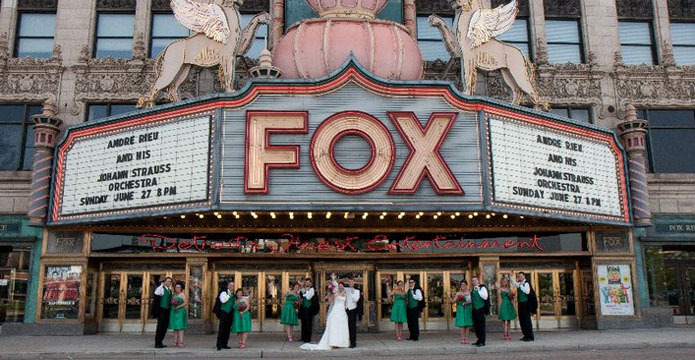 The Fox’s outstanding example serves as the beacon for Woodward Avenue – and it is the center or guts of Foxtown, or the area around the theater, Comerica Park and other cultural notables. I’ve been to many movies (“Gone with the Wind” among the highlights), performances (including a stunning one by country crooner Lyle Lovett) and plays at the Fox. I’m delighted to see others around the nation appreciate its beauty both on the inside as well as the outside. There are other good marquees in our area – the Michigan Theater in Ann Arbor and the Birmingham 8 in Birmingham for example – but few shine as brightly as our grand old dame, the Fox.